Jamie H. Shushan is Associate Director of the Crimson Summer Academy (CSA) at Harvard University where she works to increase access to higher education for students from disadvantaged backgrounds and helps them succeed once they arrive on campus. In her work at CSA and beyond, she teaches numerous classes focused on college success, engages students in career exploration fieldwork, and serves as an advisor and advocate for students at colleges and universities throughout the United States. 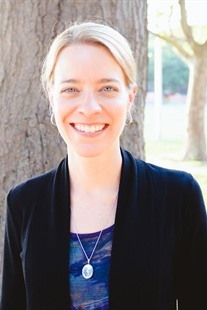 Jamie earned her Master’s degree in Higher Education at the Harvard Graduate School of Education in 2006, where she served as an academic and residential advisor for first-year students and worked at the Office of Career Services, participating in counseling, student outreach, and program development. Before joining the Crimson Summer Academy, she worked with the Associate Vice President for Higher Education in the Office of the President, assisting with a number of presidential initiatives and priorities including the creation of the CSA.